This post include information about CBD oil and how it can can help with certain health issues. Using CBD for health reasons is one of the hottest trends right now. 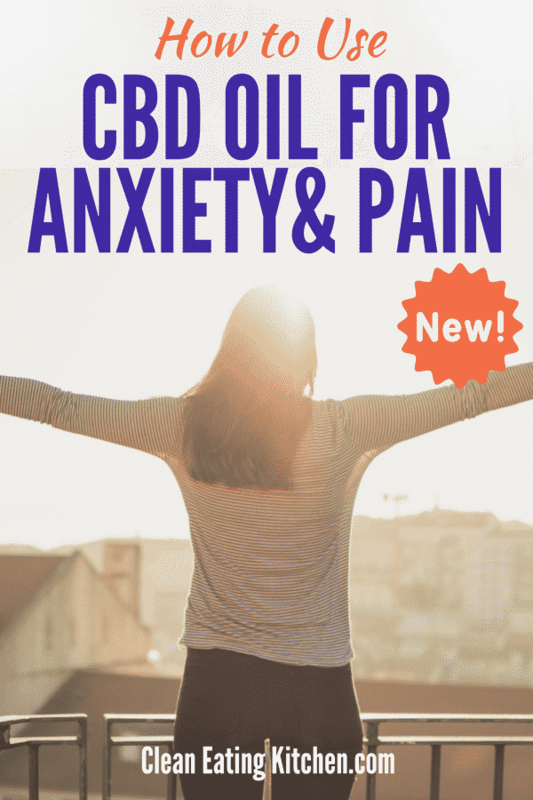 This post will share some information about what it is and how it can help, plus a bit about my experience using CBD oil for anxiety, insomnia, and pain. CBD, short for cannabidiol, is one of several cannabis compounds that has been shown to have numerous health benefits. Yes, that’s right. CBD oil is derived from cannabis, yet it doesn’t get you high like marijuana since it doesn’t contain THC (tetrahydrocannabinol). People have been using cannabis and hemp-derived CBD for centuries. It has regained popularity recently for the relief of chronic pain, anxiety, inflammation, migraines, insomnia, psychosis, seizures, seasonal affective disorder and other medical conditions. It may also aide in the relief of arthritis, depression, diabetes, alcoholism, multiple sclerosis, schizophrenia, antibiotic-resistant infections, and other disorders. High doses of CBD are being investigated extensively as an anti-cancer agent as well. CBD is generally used in an oil form. CBD oil can be incorporated into topical ointments, beauty products, wax concentrates for vaporizing, and edibles. Note: this post is sponsored by the company Medterra, a CBD company offering a variety of CBD isolate products with zero THC. All opinions are my own. How Do CBD and Marijuana Differ? Marijuana and hemp plants are both part of the cannabis species. Marijuana contains THC and hemp contains CBD. CBD lacks the psychoactive properties that come from THC compounds found in marijuana. This means CBD won’t leave you with that “stoned” feeling. This also means that use of CBD won’t show up on a drug test since they generally test for THC, which is void in CBD. Unlike marijuana, which is illegal in many places, CBD products are legal. They may not be easily available in states and places where marijuana is illegal, but someone who wants to purchase CBD cannot be denied its use. CBD is not considered an addictive substance and there are very few known adverse effects of CBD. Sleepiness and a change in appetite were the few that were noted in studies. As mentioned above, people are using CBD for its numerous proven health benefits for certain medical conditions. CBD is a potential treatment for anxiety disorders based on human experimental and clinical studies where participants reported mild sedative properties. The mild sedative properties of CBD have also shown to be of benefit to people with insomnia, although some people actually report feeling more alert after using CBD. Manufacturers are also realizing that people are using CBD for the treatment of chronic pain. CBD pain ointments are becoming a popular alternative to arthritis creams. Studies on transdermal CBD for chronic pain relief showed that topical CBD application has therapeutic potential of arthritis pain relief and relief from pain caused by chronic inflammation without evident side effects. It is also being used as pain and symptom relief for people with cancer and multiple sclerosis. Epileptic patients have seen potential benefits from CBD as well. Studies have shown that some epileptic patients experience improved seizure control and other benefits on sleep and behavior. Further studies are being conducted, including the effects of CBD on children with epilepsy and other conditions that produce seizures. People who suffer from alcoholism can reap potential benefits with CBD as well. CBD has been used to negate the effects of binge alcohol use on neurodegeneration and alcohol-induced cognitive decline. Studies were conducted on rodent models but show promise for human use of CBD to treat alcoholism and some of its side effects. There’s also good news for people who suffer from chronic headaches and migraines. Use of CBD has been proven beneficial in their treatment. Cannabinoids have been shown to modulate and interact at many pathways linked to migraines and cluster headaches. Many potential therapeutic uses of CBD have yet to be discovered. 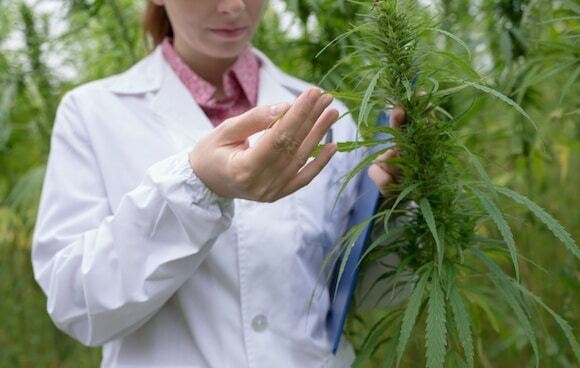 Clinical trials are currently being conducted in the study of CBD on depression, schizophrenia, seasonal affective disorder, and other psychoactive disorders. The therapeutic uses of CBD to treat diabetes are also being studied. All studies are showing promising potential. It should be noted, however, that the United States Food and Drug Administration (FDA) has not approved the use of CBD for the treatment of any condition. You should consult a qualified healthcare practitioner before using CBD to treat medical conditions. Purchase certified THC-free CBD oil HERE (use code CLEANEATING for 10% off)! CBD cannabinoids attach themselves to cannabinoid receptors in the body, known as the endocannabinoid system. Many of the receptor sites are found in the brain. These receptors (CB1) are linked with coordination and movement, mood and emotions, stress response, cognition, energy and metabolism, appetite, and memory. Receptors not found in the brain (CB2) are linked more with pain, inflammation, and immunity. When we take in endogenous cannabinoids from CBD, we activate the endocannabinoid system. These endocannabinoids attach to the cannabinoid receptors within our body activating the various health benefits mentioned above. You can see a visual representation of the endocannabinoid system here. Is CBD Legal and Where Can I Find It? Despite its link to cannabis and marijuana, CBD is legal in all 50 states…sort of. There are five states that completely outlaw CBD: Idaho, South Dakota, Nebraska, Kansas, and West Virginia. However, use of CBD cannot be denied to those who wish to purchase it from elsewhere. You won’t find CBD products for sale in these five states. And, technically, you could get into some trouble for possession of CBD if you live in these states (though enforcement of CBD laws seem to be of very low priority). The loophole around the outlaw of CBD products is that if they’re derived from hemp, they aren’t considered a controlled substance and are completely legal. It’s important to note that only four states require testing of CBD products for potency and purity: Washington, Oregon, Colorado, and Alaska. These states allow for CBD distribution in licensed retail cannabis stores but must pass state-mandated lab tests to assure they meet their packaging claims. Purity and potency testing will likely become more widely required as more states adopt lax marijuana laws. CBD products can be ordered online from many retail outlets and can be shipped legally to all 50 states. The most common form of CBD is found in therapeutic oil tinctures and capsules. You can also find CBD pain ointments, beauty products that contain CBD compounds, wax concentrates that can be added to vaporizers, and edible CBD products like gummies, cookies, and candies. Who Should Not Use CBD & What are Potential Negative Side Effects? Again, I feel that it’s important to emphasize that while CBD has not been proven to be addictive or have adverse side-effects, it’s still not approved by the FDA for treatment of medical conditions. Please consult a medical professional if you decide that you want to try using CBD to treat a medical condition, and be sure to make sure that CBD does not have any known interactions with other medications or supplements you might be using. Some reported side effects can include: dry mouth, dizziness, lightheadedness, and tiredness. The amount of CBD recommended should be adapted to each individual. The general recommendation is 25mg taken twice a day. However, genetics, health conditions, age, medications, and a multitude of other factors can influence how much a person should take. You can read more about dosing recommendations for certain health conditions here. As with most supplements, it’s a good idea to start low and work up. Remember to talk to your qualified healthcare practitioner before starting any supplement, including CBD! I was first exposed to the idea of using CBD when I attended a health expo back in 2016. My husband dragged me over to the booth out of curiosity. After talking to one of the reps at the booth and learning that CBD isn’t psychoactive, we both decided to take a sample dose. As promised, we didn’t experience any highs. We bought a bottle and took it home with us. Since that time, we’ve both used CBD on a regular basis. I have found it to help reduce my anxiety and joint pain, while my husband noticed improvement in his sleep. It should be noted that more is not always better when taking CBD. My husband noticed lightheadedness when he tried a higher dose, although I have not experienced any negative side effects. What worked for both of us is to start with a low dose and then slowly work up. As mentioned above, the company that I’ve been using is called Medterra. You can see the variety of products offered here, including tinctures, capsules, pain cream, sleeping pills (currently sold out), and CBD isolate. Use code CLEANEATING during check-out for 20% off (I will get a small commission on any purchases using this code). There are a few reasons why I trust and recommend Medterra CBD products. Medterra grows its hemp in Kentucky and so it has control over the process from seed to sale. I feel good knowing I am supporting a product made in the United States. Medterra products are all 3rd-party tested to make sure they have zero THC and meet all quality standards, including Federal and State legislation. That 3rd-party testing is really important to me. The products are easy to use! I have tried the tincture and the pain cream and find them to fit easily into my lifestyle. I take the tincture both in the morning and at night, and I use the pain cream on my hand when my joints hurt (too much computer time!) and I even use some on my abdomen for menstrual cramps. I’d love to know your experiences or interest in using CBD in the comments. Feel free to ask any questions as well, and I’ll do my best to answer them! Bergamaschi MM, Queiroz RH, Zuardi AW, Crippa JA. Safety and side effects ofcannabidiol, a Cannabis sativa constituent. Curr Drug Saf. 2011 Sep1;6(4):237-49. Review. PubMed PMID: 22129319. I have had terrible insomnia for about 18 years. Would love to try pure CBD for ir. I have an ear condition that causes my ears to remain damp. Thank you for this clear explanation! I’m curious about CBD as an effective support for autoimmune conditions. It sounds like it could be beneficial! I would love to try it for joint pain and as a sleep aid. I am interested in trying it for my son that has epilepsy. That’s fantastic, Sunny! Someone asked me about skin conditions, so I’m thrilled to know CBD has helped you in this way. I would love to try your product. I have several things going on that this would help with. I am curious to try this for migraines. Thank you! Right?! I loved seeing that it’s being researched for migraine. I have to say that it works more preventively for me in that way. Once I get a migraine, nothing much helps. I’d love to know if it helps you. XO. Thanks, Carrie. I would like to try it to see if it will help my sleep. I’d also like to see if it could help alleviate major joint pain. Fingers crossed! I have anxiety. I have tried everything to calm my anxiety down. I wonder can the CBD oil be used for skin irritations such as atopic dermatitis? Diane, that’s a great question. Someone else in the comments said she had success with psoriasis. I am interviewing the CEO of the company in a few weeks. I will ask him your question. XO. I’ve had depression for over half of my life and in the past 4 years, it has really impacted my sleep. I’ve heard about CBD oil and would love to try it! I’ve heard it’s good for migraines! I have chronic insomnia, and have been searching for something to help for the past 15 years of my life. Would love to give this a shot. I have used cbd for pain and anxiety. I’ve not been using it long, though, so I’m still trying to figure out dosage, potency and that kind of stuff. Thanks for sharing the info! My doctor recommended it for anxiety. Would like to try it for migraines! I would love to try this oil for my stomach problems and sleeping better. Sounds like a great product! This would be great to try for sleep. I would like to see if it helps my anxiety & insomnia. I have also read that it can help reduce inflammation in the body. 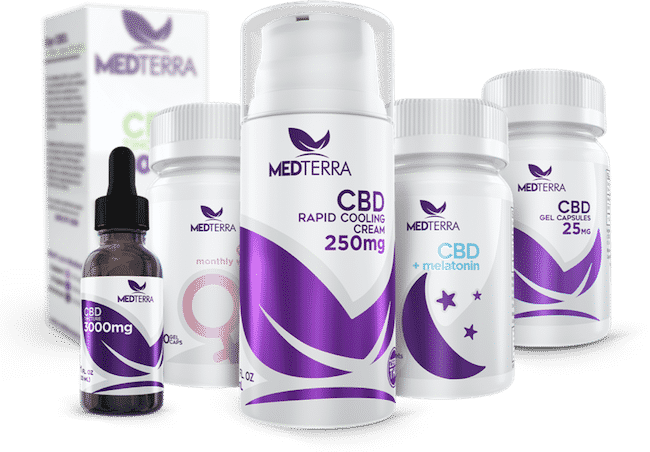 I have used CBD tinctures and capsules available here in Oregon, and I would LOVE to try Medterra – I have not seen this one yet. I take CBD for pain relief and improved sleep, and would love to see how Medterra’s products work for these things. I would try it for pain relief. I would use it to treat my rheumatoid arthritis that I’ve had since I was a young child. Thanks for the chance! I have pain in my wrists and hips when its rainy or going to rain. I would use it for that. I just started using CBD and so far so good. I’m hoping it will help with anxiety and inflammation. I’ve not tried any products like this and would like to for my days when anxiety is more of an issue. You know those days when it seems to get the better of you! Exercise seems to help the most so I never skip that but I’m not opposed to trying new products as long as they are safe. Thanks for the giveaway and great podcasts and other helpful info on your blog. I’d love to try it for stress, shutting off my thoughts to fall asleep easier and arthritis pain in my feet. Really great post with a ton of great information! Love your website ! This was such an informative read! Thanks for breaking it down! My state is SOOOOO behind, I wish they’d make this legal here! The CBD is legal in all states as far as I know; it’s marijuana that isn’t legal. What state are you in? I would like to treat my headaches. My integrative health provider wants me to try CBD for my migraines, so I would love to win this! Ive never used this company but am super interested now! I’d use this for my anxiety! I also have some lower back issues and some joint pain. Sounds like interesting stuff! My allergies and asthma are very bad and I wonder if it would help. Thank you for the information. I really would like to readny about this product, regarding pain relief benefits. I have really bad back pain, and I think this would help. I have joint pain in my hips and arthritis in my toes so I would like to try this out. I would like to try this for my neuropathy pain, but I still get from a past chemo. I would love to try this for migraines. I would like to see if it works with my arthritis. I would use this to help my anxiety and panic attacks! I’d love to try it for back pain and foot neuropathy from my back condition. I would like to try it for my depression and anxiety. Thank you! POTS, Fibro, Degnerative Disc Disease, Chronic Fatigue, Herinated Discs, shall I go on. TY so much for the chance! I would be trying this primarily for sleep aid! Thanks so much for the chances to win. I have pain in my shoulder this might work for. I would like to try it for joint pain from rheumatoid arthritis, as well as anxiety. I have heard great things about this for anxiety! I NEED to try it!! I would use it to help with my anxiety and joint pain. I would love to try this for sleep. I am constantly tossing and turning all night. I would love to see if this would help with my fibromyalgia pain! Would like to try for migraines. I’d like to see how it works on joint pain in the knee. I’d love to try it for my anxiety. I’ve suffered with symptoms similar to Lyme disease for about 4 years now. I’d love to see if CBD would help with any of it!! That would be so wonderful! I have OsteoArthritis in my neck and in turn it has caught the nerve to my right arm. I would love to try this for the constant pain that I am in 24/7 and it does interfere with sleeping at night. I’d like to give it to my dog for his anxiety foot licking, which might be linked to inflammation. The best thing about CBD oil is it’s anti inflammatory. So it helps with prevent and heal many health problems, such as auto immune diseases, rheumatoid arthritis, diabetes, high blood pressure, asthma, IBS etc.